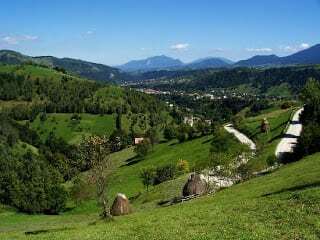 My family’s ancestral roots are in Transylvania—known more for its Dracula legend than the hundreds of thousands of ethnic Germans, like my father’s parents, who had made it their home beginning in the twelfth century. One hundred years ago, my grandfather headed for America from that stunning land of rugged mountains and lush valleys, armed only with youthful optimism, confidence, and a fierce work ethic, determined to succeed in America. My grandmother followed, and they built a life interwoven with the historical events of the decades to come. After my mother’s death in 1994, (Dad had died five years before), my brothers and I dug through the artifacts our parents left behind, separating trash from treasure. We found the latter, tucked into the corners and cobwebs of their attic. A trove of diaries, letters, documents, scribbled notes, and photos had lain entombed for decades. Relating on a personal scale to Howard Carter’s utterance at his first glimpse into King Tut’s tomb, we, too, felt we were seeing “wonderful things”—the detailed gems of family—and twentieth century—history. 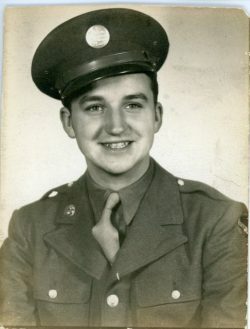 So many in my family were compelled to write: letters to and from the homeland spanning almost seventy years, close to 300 letters exchanged with my uncle, Lt. Frank Gartz, a B-17 navigator in World War II, diaries dating from the 1920s to the 1980s. 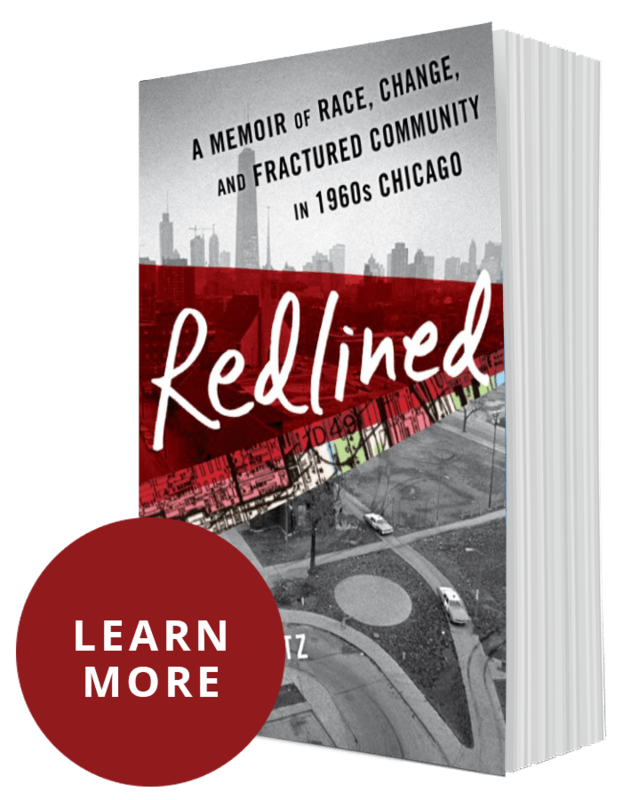 All these missives and journals reflect on the personal and historical: World War I, the stock market crash, the Great Depression, the Second World War, the 1950s, racial strife and riots of the 1960s in our changing neighborhood of West Garfield Park, and into the ’70s and ’80s. During the last several years, I’ve pored through the written records of several lifetimes, making astonishing discoveries along the way. What has been laid bare is not just my family’s secrets, but the kind of drama, joy, sadness, and triumph that underlie all our families’ experiences. Their records reveal the daring-do of youth and young love, labor, laughter, madness, illness, war, death, riots, generational tugs-of-war, and marital strife. The experiences may be particular, but the themes are universal–now known only because my family refused to relinquish its history to the trash heap of time. As the Family Archaeologist, I’ll be sharing with you not just letters and diaries that span much of the last century, but also the excitement of discovery and revelation that sparks my archaeological dig. I hope these finds will create a resonance with your own family’s past and engender curiosity about how history is not just textbook dry, but the fabric into which our families’ lives are woven. Excellent first post. This will be such an exciting project and I’m glad I was “in on it” from the start. Best wishes as you continue to explore your family’s history. The site is really nicely done. It’s a site, I think, that will grow in fans as we read each installment of the story of your family. It’s a novel in nearly 300 chapters if you make one for each letter. Wonderful idea. Good luck with all of it. I’ll keep reading. Thank you so much for your encouragement! The sheer volume of record-keeping in which so many in my family engaged is like a telescope trained onto the details of life over the past century–details that could have been washed away in the current of time, but instead are enlarged for our viewing pleasure. Glad you’re along for the ride on this stream of history. My mother’s family is also from that region of Romania. It was my G-Aunt who told be stories of the family and Segenthau that got me started in Genealogy. Thanks for visiting and for telling me that your family coms from — Transylvania/Siebenbürgen, I presume? I’ll check in with Tangled Trees and find out more! You’re off to a great start. Welcome to the genealogical community! I can’t wait to read more. I too have inherited boxes of family history hidden for many decades so I’m very curious to see how you handle your collection. It’ll be a great opportunity to learn more. As these episodes build and form a story, I cannot help but think about my own grandfather’s passage to America at about the same time frame. Sadly, he died before I was born and other than things mentioned orally, there was no written history to rely on. But I suspect so many aspects of his journey were similar and so this blog has helped me envision what German immigrants experienced as they came to America. I look forward to future episodes. I just found this blog and am very impressed and very jealous! What a wonderful treasure you have. I cleaned out my grandmother’s belongs last November, and was very excited to get 2 boxes of pictures and documents. still have not gotten the information into the computer, but that is my goal this year.